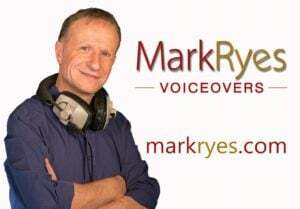 Mark is a highly professional voiceover artist with a warm, friendly voice. What do you like best? Mark delivers perfect takes every time with his one-take sight-reading abilities, can work at speed and has decades of experience in the industry. It is always a pleasure to work with him. What do you dislike? There is nothing I dislike about Mark Ryes Voiceovers. I have worked with him for a number of years, and he always produces excellent results. Consistently excellent service and a pleasure to work with. What do you like best? We've turned to Mark for our e-learning voiceovers since quite a while and it has always been a sheer delight to work with him. Mark provides unerringly perfect narration, which arrives always on time (or even earlier!) and exactly to our requirements. While I don't give out recommendations easily, I would 100% recommend Mark's services to anyone, particularly if you find yourself working on a time-sensitive project. What do you dislike? I have to say that so far I haven't found anything that I would dislike about Mark. Mark is an outstanding voiceover artist. Reliable and impeccable. He produces quality each time. What do you like best? Mark is an amazing voiceover artist. We create a series of animations for Health and Safety on worksites. All Our English voiceovers are done only with Mark. He delivers a great quality voiceover each time with quick turn around times. He is simply amazing and you cannot go wrong with such an amazing artist. What do you dislike? Mark is rated 10/10 they has never been an issue or downfall for the years I have worked with him. Mark is the consummate professional who will always deliver on time. What do you like best? His professional, clear and reliable delivery. He is very reliable and creative. What do you dislike? There is nothing that I dislike about Mark. His delivery is consistent, his attitude is amazing and he is super reliable.